Every November, we flood The Sprint Shack’s blog and Twitter with NaNoWriMo advice. And while that advice is helpful for the many writers who do partake in the annual challenge, what about those of us who don’t? Thankfully, the lessons learned during NaNoWriMo apply to writing throughout the year—first draft writing, at least. And the tenacity, dedication, and supportive camaraderie displayed throughout the month is always a source of inspiration. I, personally, decided not to do NaNoWriMo this November. When Faye, Taylor, and I posted our kickoff post, I had every intention of participating. I sat down, started writing, almost hit my word count goal for the first day… and immediately stopped. I had no love for the story I was attempting to write and very little time to spend working on one that I did enjoy. I knew starting out that this would not be an optimal time for me to attempt such a large goal, but I wanted to at least try. And while I don’t consider giving up after the first day a real concerted effort, I knew that I was making the right decision for myself this year. 1. Read the pep talk emails. One of my favorite things about NaNoWriMo is the regular pep talk emails they send from various NaNoWriMo staff and acclaimed authors. Having your own personal cheering squad can be incredibly exciting, not to mention those who are writing the pep talk emails often have great advice that applies to all stages of writing. 2. Scroll through the forums. Don’t do this while you’re writing, of course, but take a few minutes in your spare time to peruse the NaNoWriMo forums. This can be especially helpful if you have writer’s block since many generous wrimos will often drop unneeded characters, settings, prompts, and entire plots into the Adoption Society for anyone who needs some fresh ideas. 3. Watch your friends closely. If you don’t have any “writing buddies” on the site, now’s the time to get some (the forums mentioned above are a great place to start). Watching everyone else’s word counts climb steadily throughout the month can be incredibly inspiring and can often kick your muse into action. Of course, these are also great tips for those of you who are participating in NaNoWriMo and are struggling with those second week blues. For more on that, check out Taylor’s last post on getting back on track! 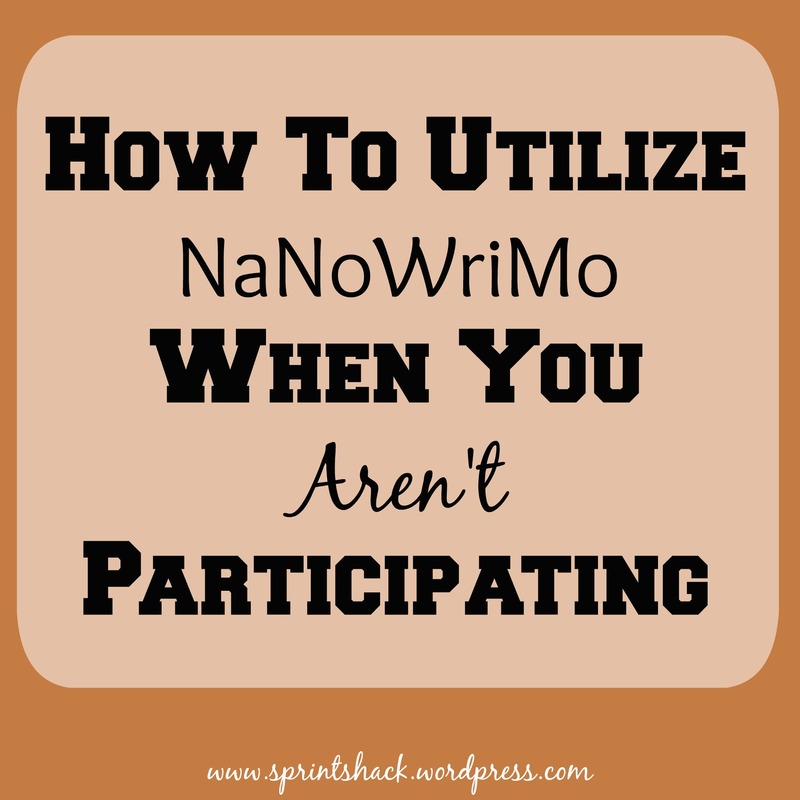 Are you choosing to participate in NaNoWriMo this year? If not, what are you working on instead and how are you staying focused? Let us know! « Fallen Behind During NaNoWriMo? 5 Tips to Get Back on Track!